CPUSupport for Intel® Core™ i7 processors/Intel® Core™ i5 processors/Intel® Core™ i3 processors/Intel® Pentium® processors/Intel® Celeron® processors in the LGA1150 packageL3 cache varies with CPU(Please refer "CPU Support List" for more information. )ChipsetIntel® B85 Express ChipsetMemory4 x 1.5V DDR3 DIMM sockets supporting up to 32 GB of system memory* Due to a Windows 32-bit operating system limitation, when more than 4 GB of physical memory is installed, the actual memory size displayed will be less than the size of the physical memory installed.Dual channel memory architectureSupport for DDR3 1600/1333 MHz memory modulesSupport for non-ECC memory modulesSupport for Extreme Memory Profile (XMP) memory modules(Please refer "Memory Support List" for more information. )Onboard Graphics Integrated Graphics Processor - Intel® HD Graphics support:1 x D-Sub port, supporting a maximum resolution of 1920x12001 x DVI-D port, supporting a maximum resolution of 1920x1200* The DVI-D port does not support D-Sub connection by adapter.1 x HDMI port, supporting a maximum resolution of 4096 x 2160 @ 24 Hz / 2560 x 1600 @ 60 Hz* Support for HDMI 1.4a version.Maximum shared memory of 1 GBAudioRealtek® ALC892 codecHigh Definition Audio2/4/5.1/7.1-channelSupport for S/PDIF InSupport for S/PDIF OutLANRealtek® GbE LAN chip (10/100/1000 Mbit)Expansion Slots1 x PCI Express x16 slot, running at x16(The PCI Express x16 slot conforms to PCI Express 3.0 standard. )* For optimum performance, if only one PCI Express graphics card is to be installed, be sure to install it in the PCIEX16 slot. 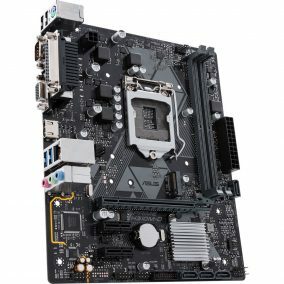 1 x PCI Express x16 slot, running at x4 (PCIEX4) 2 x PCI Express x1 slots(PCIEX4 and PCIEX1 slots conform to PCI Express 2.0 standard.) 2 x PCI slotsMulti-Graphics TechnologySupport for AMD CrossFire™ technologyStorage Interface Chipset:4 x SATA 6Gb/s connectors (SATA3 0~SATA3 3) supporting up to 4 SATA 6Gb/s devices2 x SATA 3Gb/s connectors (SATA2 4~SATA2 5) supporting up to 2 SATA 3Gb/s devicesUSB Chipset:Up to 4 USB 3.0/2.0 ports (2 ports on the back panel, 2 ports available through the internal USB header)Up to 8 USB 2.0/1.1 ports (4 ports on the back panel, 4 ports available through the internal USB headers)Internal I/O Connectors1 x 24-pin ATX main power connector1 x 8-pin ATX 12V power connector4 x SATA 6Gb/s connectors2 x SATA 3Gb/s connectors1 x CPU fan header3 x system fan headers1 x front panel header1 x front panel audio header1 x S/PDIF Out header1 x S/PDIF In header1 x USB 3.0/2.0 header2 x USB 2.0/1.1 headers1 x serial port header1 x parallel port header1 x Clear CMOS jumperBack Panel Connectors1 x PS/2 keyboard/mouse port1 x D-Sub port1 x DVI-D port1 x HDMI port2 x USB 3.0/2.0 ports4 x USB 2.0/1.1 ports1 x RJ-45 port6 x audio jacks (Center/Subwoofer Speaker Out/Rear Speaker Out/Side Speaker Out/Line In/Line Out/Microphone)I/O ControlleriTE® I/O Controller ChipH/W MonitoringSystem voltage detectionCPU/System temperature detectionCPU/System fan speed detectionCPU/System overheating warningCPU/System fan fail warningCPU/System fan speed control* Whether the fan speed control function is supported will depend on the cooler you install.BIOS2 x 64 Mbit flashUse of licensed AMI EFI BIOSSupport for DualBIOS™PnP 1.0a, DMI 2.7, WfM 2.0, SM BIOS 2.7, ACPI 5.0Unique FeaturesSupport for Q-FlashSupport for Xpress InstallSupport for APP Center* Available applications in APP Center may differ by motherboard model. 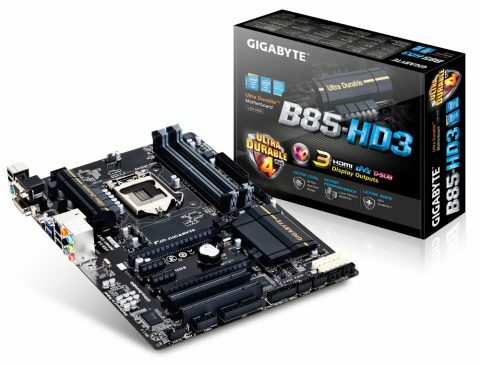 Supported functions of each application may also differ depending on motherboard specifications. @BIOSEasyTuneEZ SetupUSB BlockerSupport for ON/OFF ChargeBundle SoftwareNorton Internet Security (OEM version)Intel® Rapid Start TechnologyIntel® Smart Connect TechnologyIntel® Small Business AdvantageOperating SystemSupport for Windows 10/8.1/8/7Form FactorATX Form Factor; 30.5cm x 22.5cmRemarkDue to different Linux support condition provided by chipset vendors, please download Linux driver from chipset vendors' website or 3rd party website.Most hardware/software vendors may no longer offer drivers to support Win9X/ME/2000/XP. 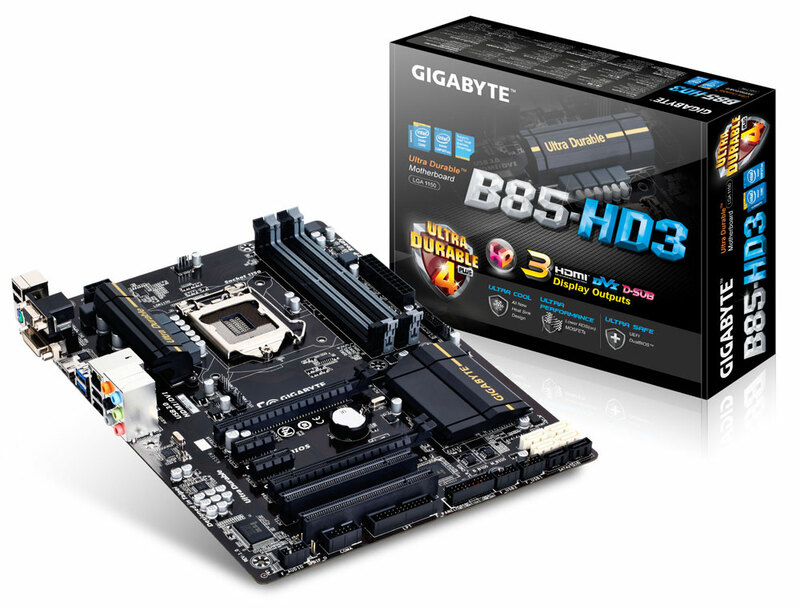 If drivers are available from the vendors, we will update them on the GIGABYTE website.